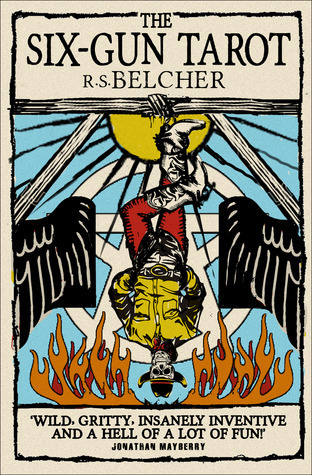 R. S. Belcher’s debut novel, The Six-Gun Tarot, was enthusiastically greeted by critics and readers, who praised its wildly inventive mixture of dark fantasy, steampunk, and the Wild West. Now Belcher returns to Golgotha, Nevada, a bustling frontier town that hides more than its fair share of unnatural secrets. 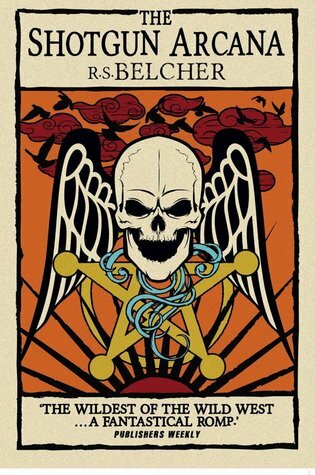 The Shotgun Arcana is even more spectacularly ambitious and imaginative than The Six-Gun Tarot, and confirms R. S. Belcher’s status as a rising star. 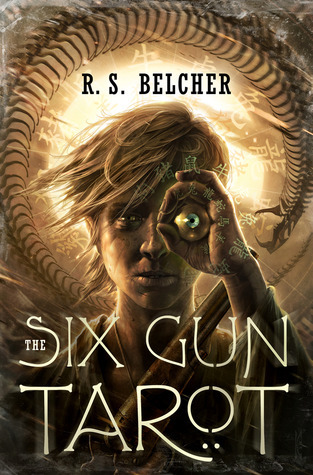 My first novel, The Six-Gun Tarot, and its recently released sequel, The Shotgun Arcana, have both been referred to as novels with Steampunk elements. I didn't start out to write a Steampunk book in the case of Six-Gun, but the elements surrounding my character, Clay Turlough lent themselves to a Steampunk interpretation. Clay is very much a mad scientist, a fanboy of Mary Shelley; he tinkers with electricity, and the dead, and he feels obligated to dabble at being God and challenge death, because to his mind, God's not doing a very good job of it. In the Shotgun Arcana, Clay's experiments, and a discovery he makes lead to a discovery that could change the world, or destroy it. Of all the characters in my Golgotha series, to date, Clay is the poster boy for Steampunk. There has been a movement within the Weird Western genre to marry Steampunk elements to Western elements. Fine examples of such alchemy include, Cherie Preist's novel, Boneshaker, Mike Resnick's The Buntline Special, and Emma Bull's Territory, to name a few. This notion has led to the question, “Why do Steampunk and Weird West work so well together? It's like the Reese's Peanutbutter Cup (“Hey you got your Steampunk in my Weird Western! You got your Weird Western in my Steampunk!”) of quirky genres. Here are a few reasons why I think the two genres get along so well. First off, both deal in historical fiction and often straddle the same era—primarily, the 1800's. Next, that time period was rich with the concept of new frontiers, exploration, expansion—in both the geographic sense and the concept of pushing back the boundaries of knowledge and ignorance. There was yet to be a hard wall between science and paranormal research, in what was possible and impossible. In short, it was a wide open frontier for the human imagination. The other aspect that lends the genres to mingle so well is the notion of the times of freedom—the freedom to pursue crazy theories and ideas, to move past the edges of polite society and lose, or find, one's self in the crucible of the frontier. It is imagined by us as an age of unprecedented freedoms and self-determination, a time before the rigid constraints of civilization, of what is allowed, had firmly set in. These notions are reflected in both Weird Westerns and in Steampunk, shared by the two, in many cases. It's made for some amazingly fun reading and I look forward to what lies ahead for the happy couple. As for myself, I can say I am very much looking forward to writing the next installment of my Golgotha series and to continuing the story of my little town's resident mad scientist. R.S. (Rod) Belcher is an award-winning newspaper and magazine editor and reporter. He has been a freelance writer for over a decade. He has written for local, state and international publications. Rod has been a private investigator, a DJ, a comic book and game store owner and has degrees in criminal law, psychology and justice and risk administration, from Virginia Commonwealth University. He has done Masters work on a degree in Forensic Science at The George Washington University, as well as worked with the Occult Crime Taskforce for the Virginia General Assembly’s State Crime Commission. Rod has written and edited for magazines like Starlog, Virginia Living, Virginia Business, Verve, and The Roanoker. He was managing editor of The Vinton Messenger newspaper and editor for numerous trade publications. He has done technical writing and has ghost-written political editorials and advertising copy. Both the politics and the advertising greatly honed his fiction writing skills. In a creative writing course he was selected for in 6th grade, Rod was told his SF/Fantasy writing was “silly trash” (kinda true, but hey, I was in sixth grade…) but the lack of support from an adult “expert” made him feel like he couldn’t “really write” and he stopped writing for a few years. Thanks to the love, encouragement and support of his mom, Mabel, Rod started writing again when he got a typewriter for his 12th birthday. Thanks Mom. You can write. Yes, you. You have a story, maybe a bunch of stories inside you screaming to be let out. Don’t let anyone tell you can’t write, or that your writing is no good. It’s good for you, good for the thing inside you that demands you get that story out somehow. Don’t write for praise, or for money, write for you, only you, and to hell with the rest of them. He was once told by Elizabeth Taylor, he was “hot” and once told by George Takei he “looked terrible” (he did). He watched a man die in the electric chair, investigated homicides, pissed off politicians and located missing children. The CIA told him to “clean up his act”- this was one of his proudest moments. In his spare time (which he has damn little of these days), Rod enjoys reading, hiking, shooting, gaming (mostly tabletop RPG or board games, but some console), comics, researching the weird, spending time with his amazing kids, and long, thoughtful, walks in the rain…OK, the last one is crap, but the rest is true. He lives in Roanoke Virginia with his children: Jonathan, Emily and Stephanie, Three cats and two dogs.